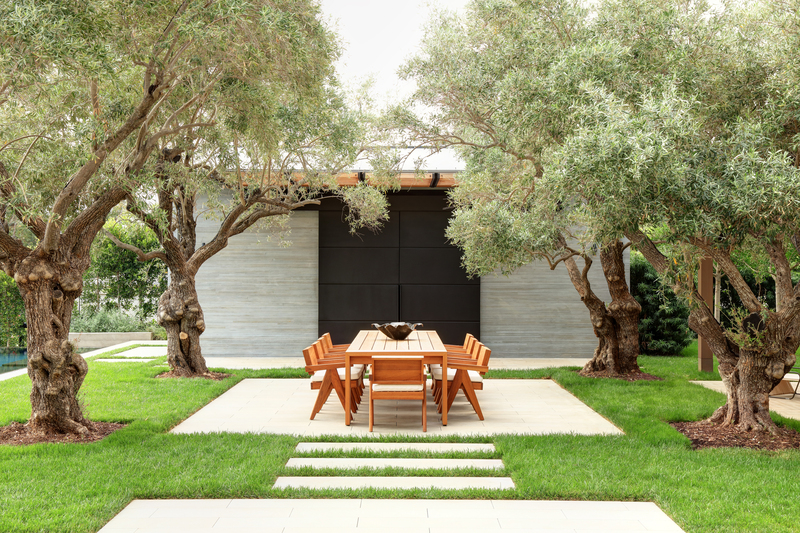 When the owners of this Beverly hills property decided to build their primary residence here, they hired us to fashion a peaceful, minimalist garden that weaves together indoor and outdoor spaces into a resort-like courtyard setting. We collaborated closely with the architects, the builders, and the interiors team to give the house and its residents a feeling of always being on vacation. To maintain a modern, clean-lined aesthetic, we alternated layers of hardscape and plants. Islands of stone pavers throughout the grassy rear lawn define discrete outdoor spaces for dining, entertaining, and enjoying the pool and hot tub. Plush pillows top a series of board-form concrete benches for relaxing poolside. An innovative drainage system maintains water at the same height as the adjacent pavers, giving the entire surface the illusion of an infinity edge. 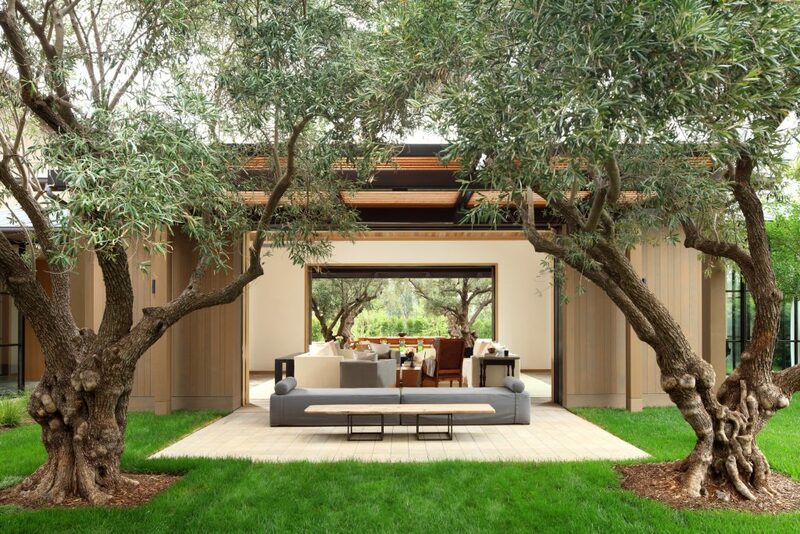 We brought in six mature olive trees to form an allée around the outdoor living and dining space; they intersect with eight gingko trees that provide additional seasonal interest. 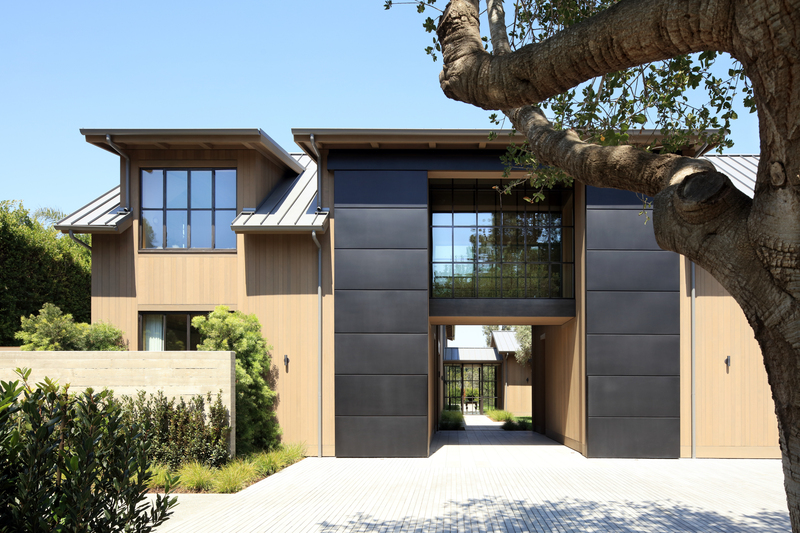 This arrangement echoes the layout of the house, which consists of a series of courtyards woven together to erase boundaries between inside and out. A mature oak is the focal point of the new front entry court, while three large birch trees screen the pool from the tennis court. The infinity-edge pool and hot tub were marvels of engineering. 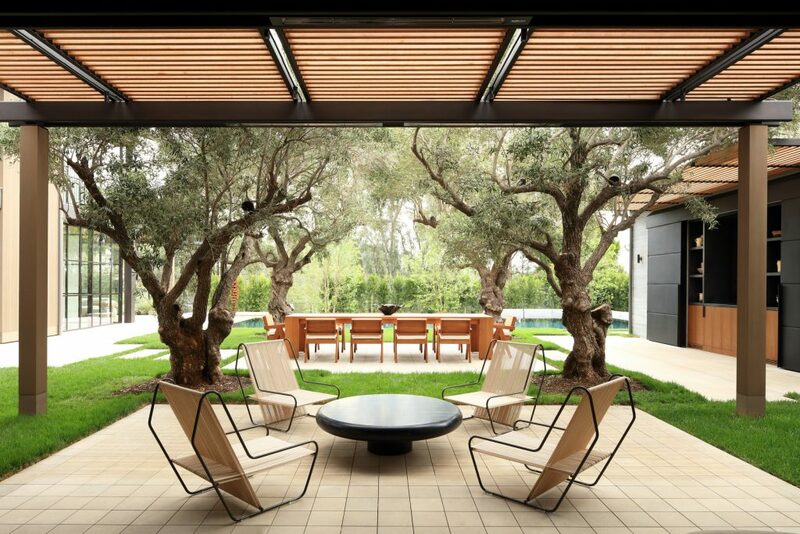 Two sides of the pool are flush with the surrounding patio, while the other two sides fall of into the horizon.